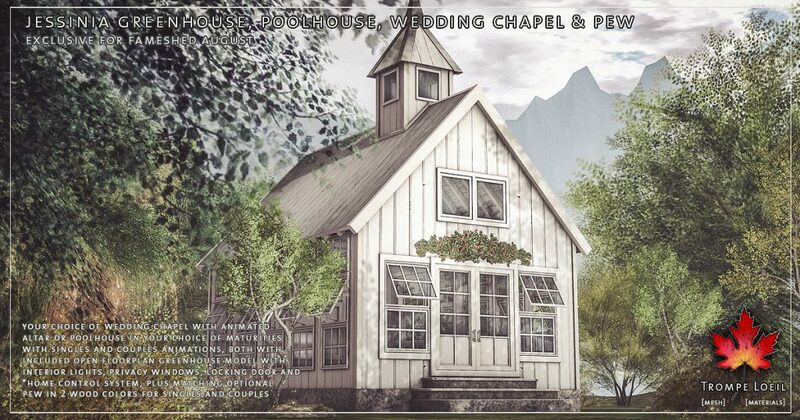 A classic country design we loved so much, we had to make it our everything! 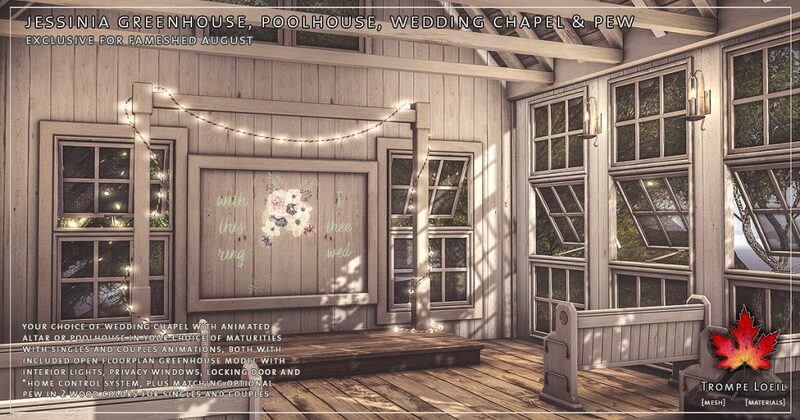 The Jessenia Greenhouse, Wedding Chapel and Poolhouse with matching Pew covers all the bases – a gorgeous studio cottage, an intimate wedding chapel, or a luxurious indoor pool – we have you covered at August’s FaMESHed round! 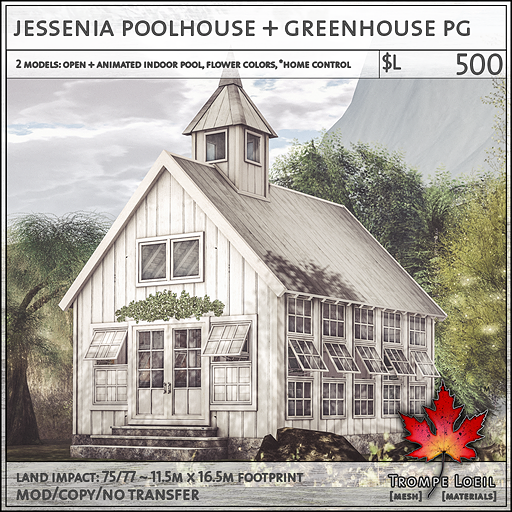 The Jessenia starts with a rustic whitewashed wooden build with lots of light through the floor-to-ceiling greenhouse windows, always open to catch the breeze. 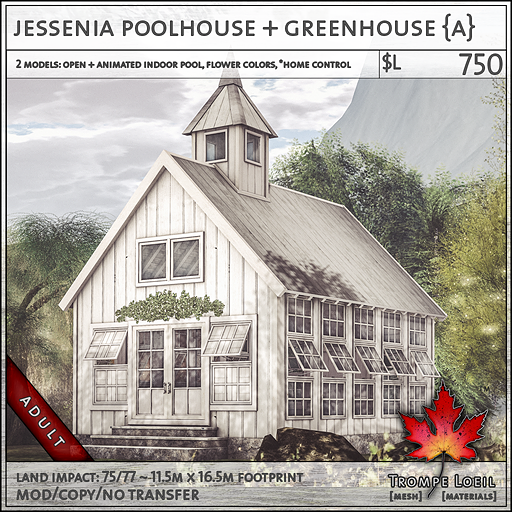 Use the Greenhouse model for a simple, classic home or getaway. 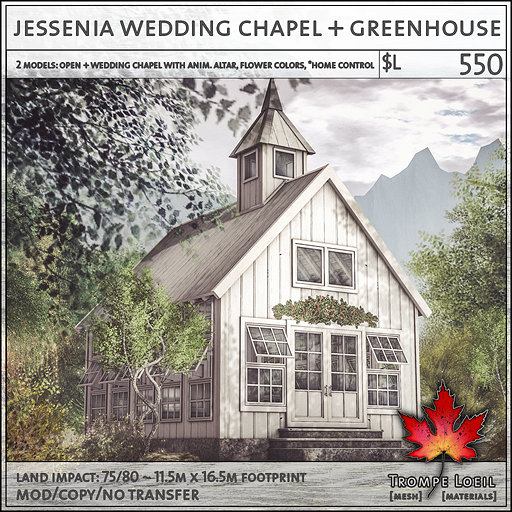 Its included in either package – the Wedding Chapel features a stringlight-strewn altar with wedding proposal and ceremony animations for two, plus static poses for those scrapbook shots afterwards. Cycle through the signs along the back wall or go with blank to keep the focus on you! 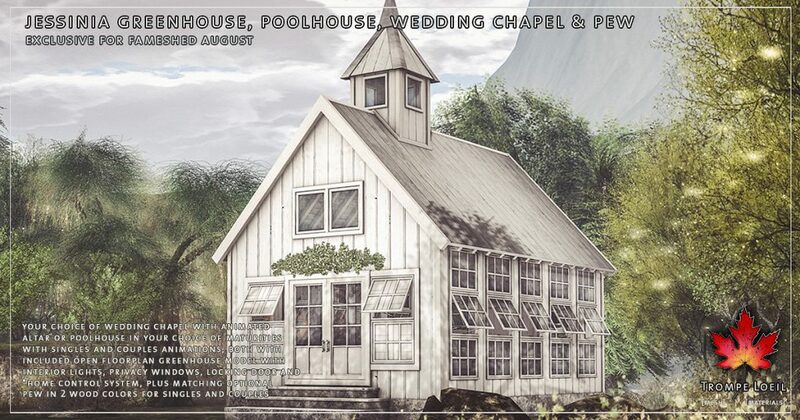 Or, go with the Poolhouse, where the interior houses a rustic tiled pool with animations for two in your choice of maturities for lounging, swimming and more! 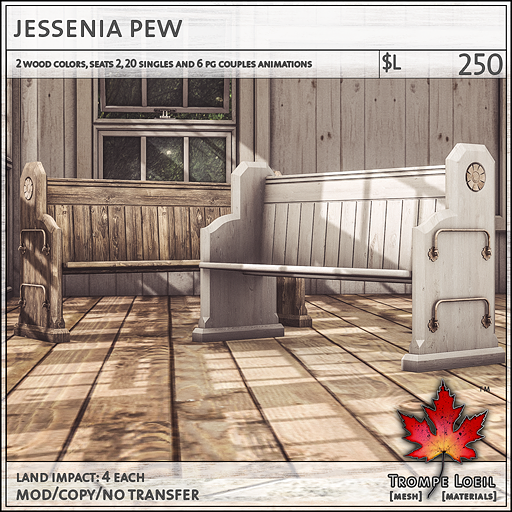 Plus, the matching Jessenia Pew works perfectly with the Wedding Chapel as a lovely recreation of classic church seating. 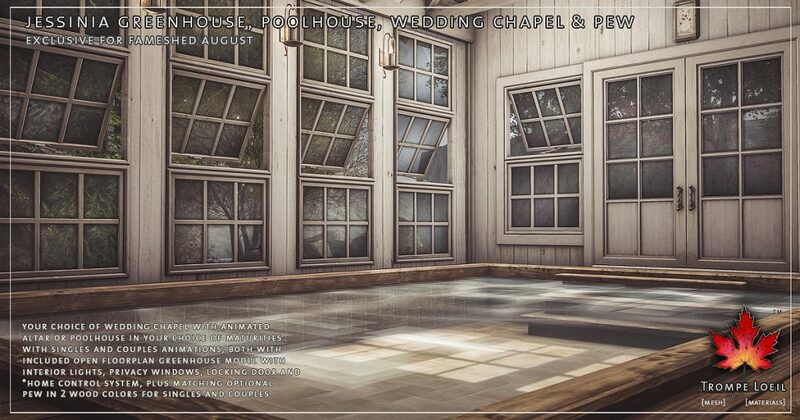 Its all at FaMESHed’s August round!